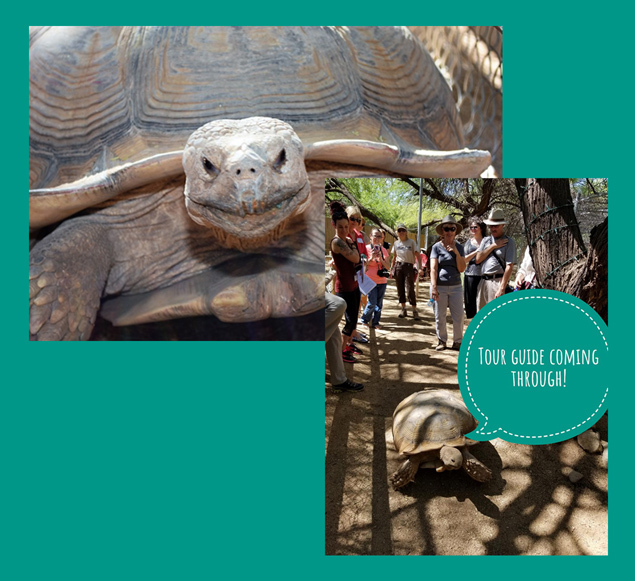 Always a favorite at Southwest Wildlife Conservation Center, Goliath the African Sulcata tortoise, can often be seen following the tour group looking for food. You might also find him at the gate trying to make a break for it. Goliath, like his Biblical name sake, is so powerful. On a regular basis he rearranges the furniture on the small animal side. His destructive tendencies don’t stop there. The armored shell on the tortoise acts as a battering ram. Goliath is so strong he has broken at least six water lines. Goliath arrived by U-Haul a few years ago. 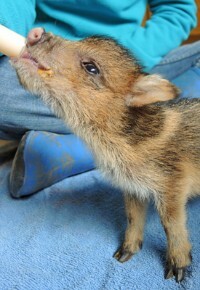 Although Southwest Wildlife is normally home to mammals, we are a sanctuary to a few special cases as well. African Sulcatas are a non-native species of tortoise and a HUGE commitment…lifelong, in fact. Goliath is a character, FULL of personality, and because he is the only animal on tour that can be touched…memorable. See for yourself how unforgettable Goliath can be, plan your visit today!